100% New & High Quality SIZE 2-18 & Customzation Wedding dress,Floor Length, back with bandage. 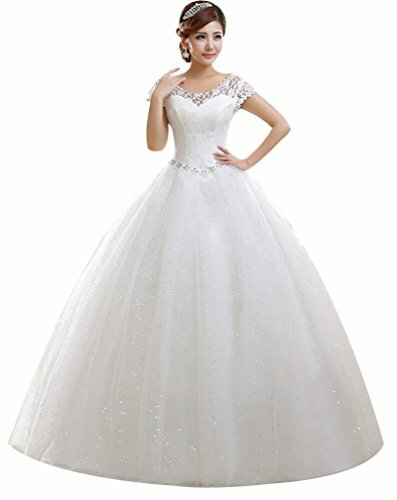 The Wedding dress NOT include petticoat, If you need petticoat, please click"http://www.amazon.com/gp/product/B00EI90VHQ" Customized sizes are also available. If you need a custom made size, please contact us and send us your measurement details, such as Bust, Waist, your height without shoes and with shoes. As our wedding dress is uaually customized, we don't accept return. Pls understand.